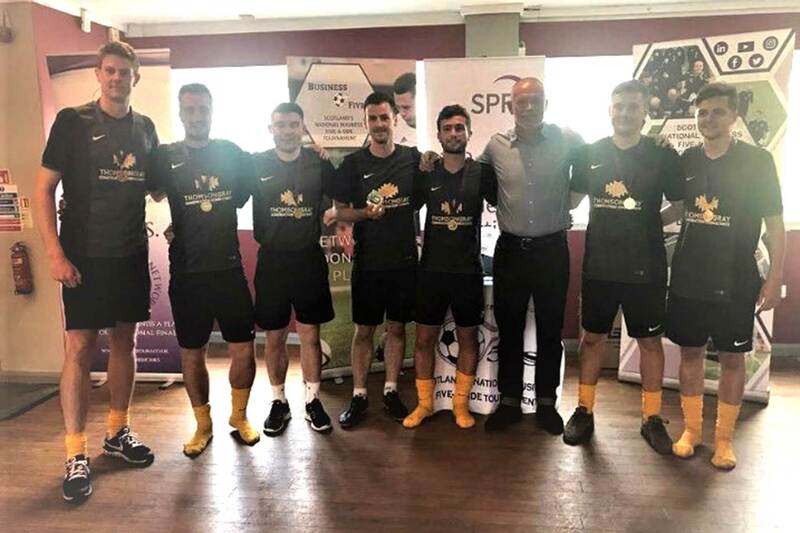 Thomson Gray Business Fives to Compete at the National Championships! Thomson Gray are delighted to announce a win for the in house football team. 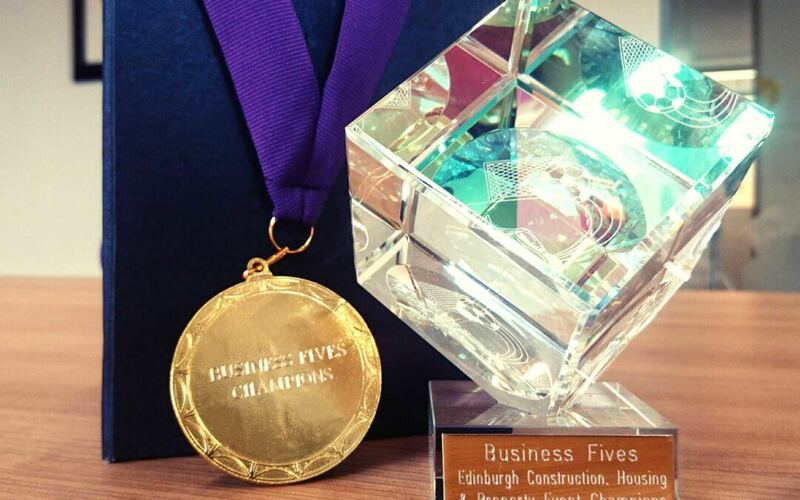 The team played in yesterday’s, Business Fives Tournament in the Edinburgh Construction, Housing & Property Event section. The competition involved playing against (8) teams split over two groups to secure their spot in the final which they went on to win (4-0). After winning the regional tournament they have now secured a place in the national finals in September. The objective of the tournament is that all teams, from the 400 companies involved, undertake fundraising for charity with all the money raised going to the winning teams charity of choice at the conclusion of the tournament. 10 % of all entry fees are even put in the fund raising total meaning that over the last 2 years a fantastic £40,000 has been raised for worthwhile causes. The team are delighted to be competing at the National Championships in September where they will compete with the winning teams from the other industry sectors. Missed out on this event but want to play our winning team at another? Come join us for The Thomson Gray Seamab 5s, The Blue Dragons Tournamet on August 31st!